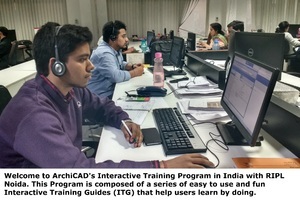 We have been given the opportunity by our office to undertake ArchiCAD training from Graphisoft. It is an enriching experience for us, as ArchiCAD is a designing software, made by architects, for architects. It has many unique features which are not present in other software.